Line cookie sheet or shallow baking pan with cooking parchment paper. In large microwavable bowl, microwave 1 lb baking chocolate on High until melted and can be stirred smooth. Pour melted chocolate onto cookie sheet. Using offset spatula or back of spoon, spread chocolate in thin even layer. 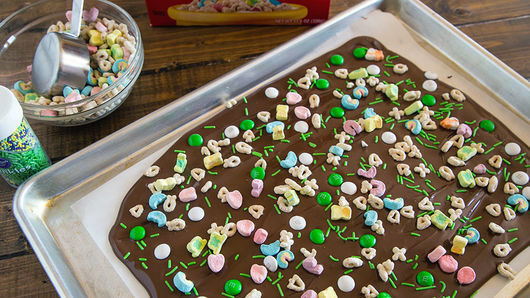 Immediately sprinkle with 1 cup Lucky Charms™ cereal, 1/4 cup candies and 2 tablespoons candy sprinkles. 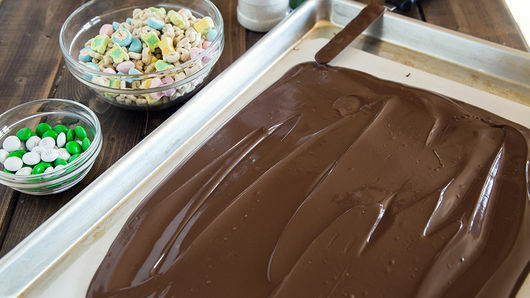 Gently press cereal and candies into chocolate. Let stand until chocolate hardens completely. Break or cut into small pieces. 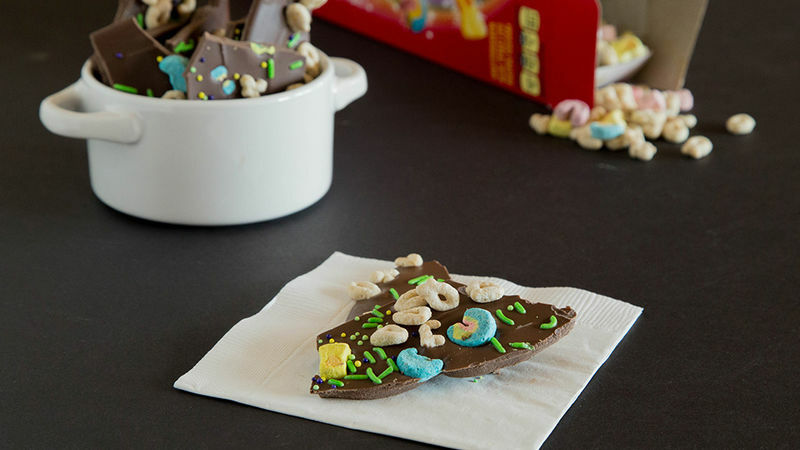 Top the bark with any other candies or sprinkles that you have. Use your favorite flavor of chocolate. White, dark or milk chocolate are all great. You can even use two kinds and layer them.